Denver’s growing pet population is one of the main reasons veterinarians have seen a sharp increase in the number of heartworm cases. As pets move into Colorado from warmer climates where heartworm disease is common, many arrive already infected. This increase is also being seen at local shelters and rescues. As the population of infected pets grows, so does our population of infected mosquitos, making transmission of the disease more likely. At Lone Tree Veterinary Medical Center, we think it is important to focus on the devastating effects of heartworm disease, especially, since this disease is one that is preventable. But We Don’t Have Mosquitoes in Colorado, Do We? One of the best parts about living in Denver is the weather – dry, sunny, and hardly any mosquitos! 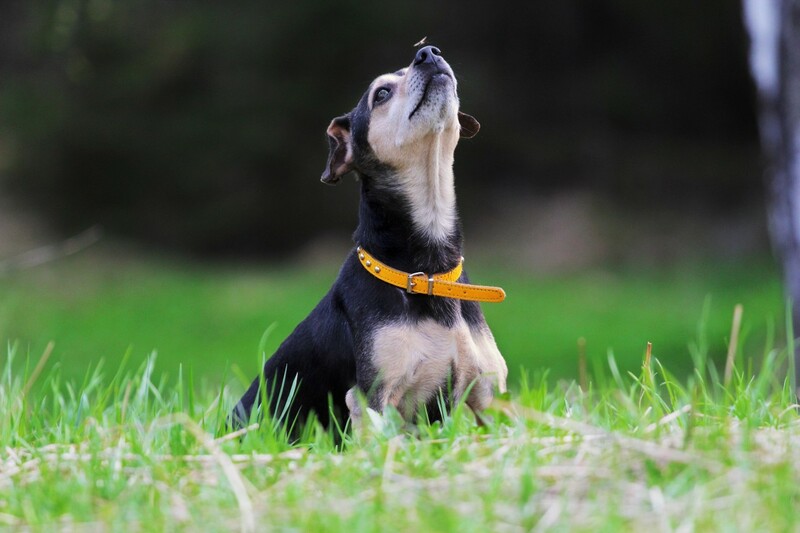 However, this seemingly lack of mosquitoes doesn’t mean your pet is safe from contracting heartworm disease. Although Colorado has a mostly dry climate, our part of the Front Range is situated in a river basin, which can still have the damp conditions that mosquitoes love. We are also surrounded by many lakes and reservoirs, as well as areas where farming and irrigation are common, so wet areas are still plentiful — especially during the years that have more rain and snow. It is important to note, too, that it doesn’t take much water to provide a suitable environment for mosquito larvae. A small puddle in the bottom of a bucket or flower pot is all that’s required for a female to lay thousands of eggs. Keeping your pet on a year-round heartworm preventive, along with annual heartworm testing, is the best way to ensure that your pet remains protected. Although you won’t see many mosquitoes during our Colorado winters, it takes months for these worms to fully develop inside a pet’s body. Any lapse in protection can still put your furry companion at risk. It’s also important to note that indoor-only pets aren’t immune to the threat of heartworm, as mosquitoes can and will find their way indoors at every opportunity. Prevention is always the best defense and safest, as treating the disease once it’s taken hold can take several months, and the medications required to kill the worms off completely in a pet with heartworm disease are much harsher than heartworm preventives. Heartworm disease isn’t the only rising threat to Colorado pets. West Nile virus used to be limited to the northeastern United States, but is increasing in our area, along with Lyme disease and other tick-borne illnesses. Be sure to maintain your pet’s flea and tick prevention, especially during the warmer months, and make sure your pet gets regular wellness exams and stays up-to-date on vaccinations. Don’t forget the importance of feeding your pet a quality diet as recommended by your veterinarian, and the value of giving your pet playtime and exercise every day. At Lone Tree Veterinary Medical Center, your pet’s health and well-being are our top priority. Please don’t hesitate to contact us with any questions or concerns you have about your pet!